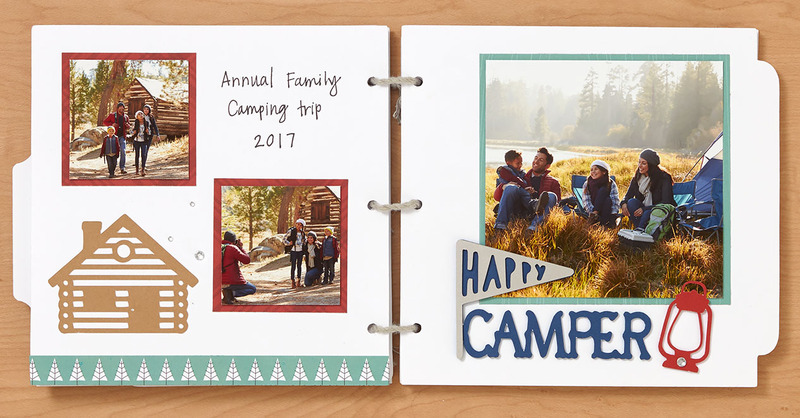 When you peruse any of the Close To My Heart catalogs, it is easy to see that we love using our exclusive Cricut® collections to add to our scrapbooking, cardmaking, and papercrafting artwork. 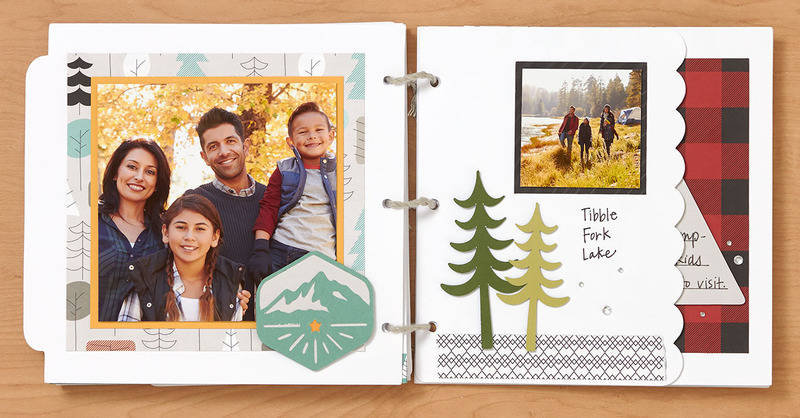 Our Cricut® collections are purposefully designed with a wide variety of shapes and styles so you can always find just what you need to complete any project. Additionally, most of our collections come with their very own unique font. 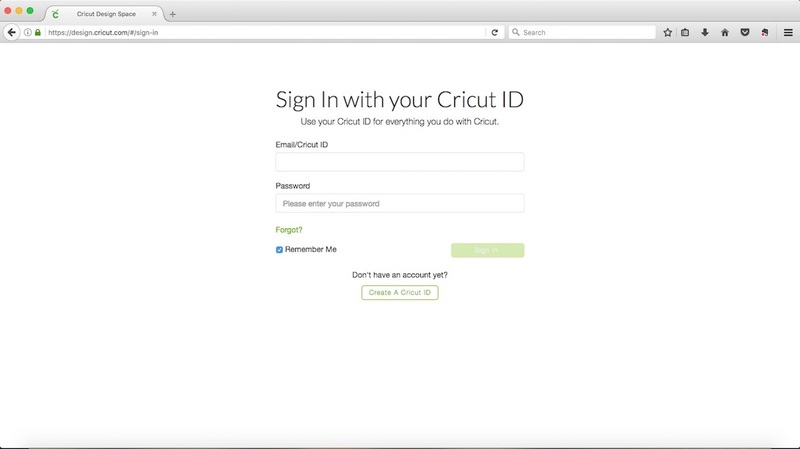 As you follow the outlined steps below, keep in mind that we are showing you how to work in Design Space using a desktop or laptop computer. If you prefer to use the available app on a mobile device, the buttons and tools will be located in slightly different places on your screen. 2. Insert text by clicking Text on the left side of your screen. For this project, we need to add text for each line separately. Let’s begin by typing “Be” in the text box. 3. Change fonts by clicking on Fonts in the Text Edit bar. 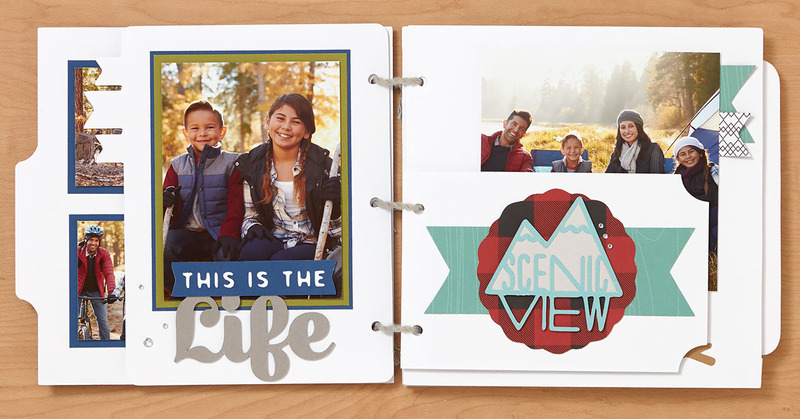 You’ll see all font options, but we want to use the font in the Artistry collection to recreate our card. 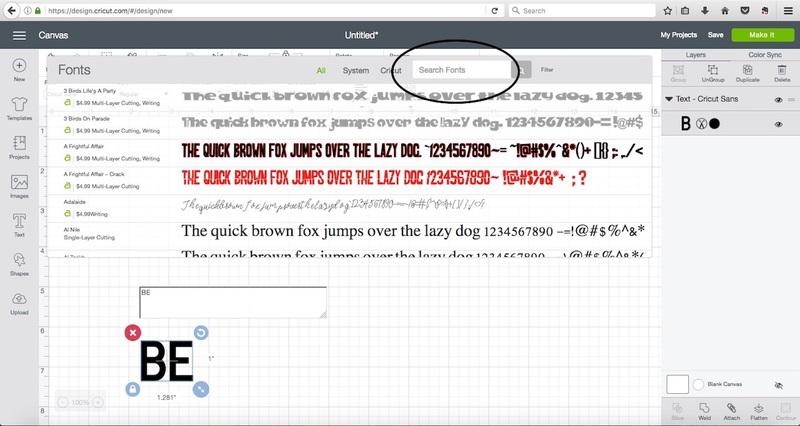 To locate this font, type “Artistry” in the Search Fonts box. 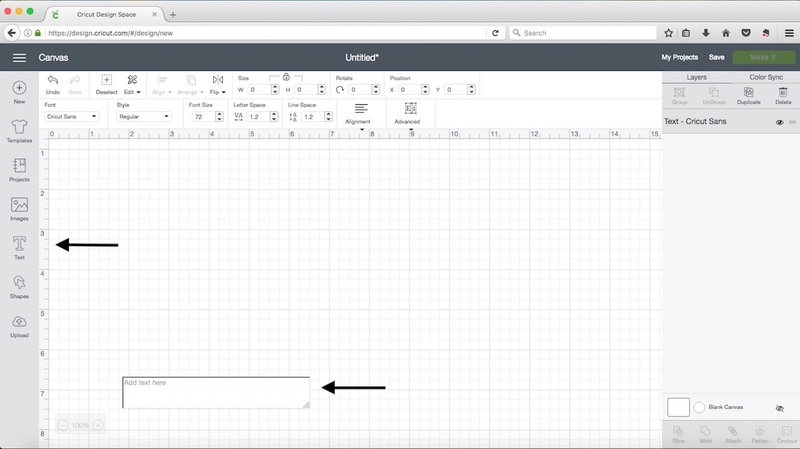 Select this font, and then adjust the font height in the Text Edit bar to 1.75″. 4. 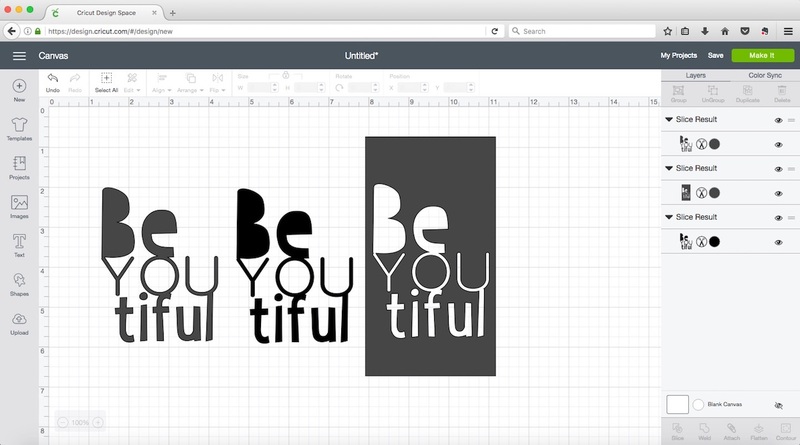 Repeat Steps 2 and 3 to create the “YOU” and “tiful” text in your project. Don’t forget to change the font and the font height for each. Change “YOU” to the Flower Market font with a height of 1″. 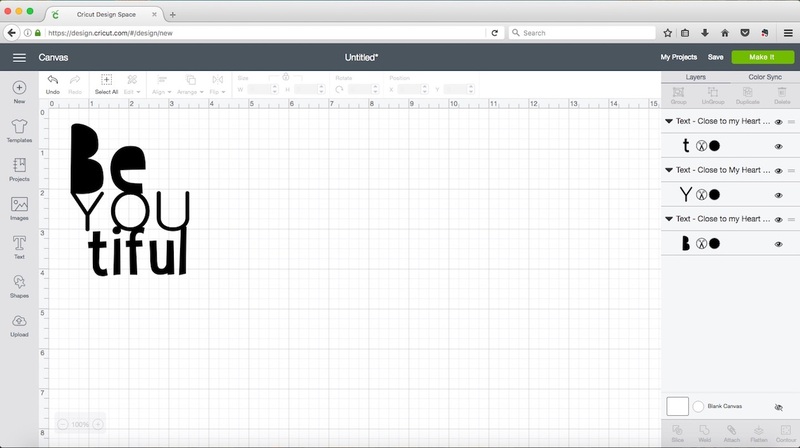 Change “tiful” to the Artistry font with a height of 1.25″. You can see where to change the font height in the screenshot above. 5. Next, arrange the text. 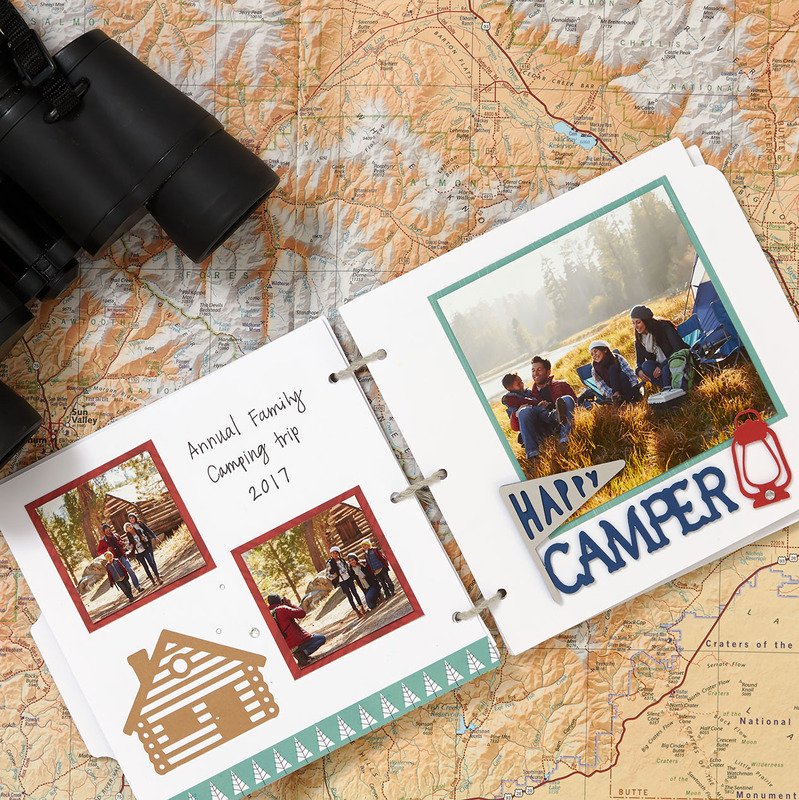 Move the text pieces around to create the look that you see on the card. 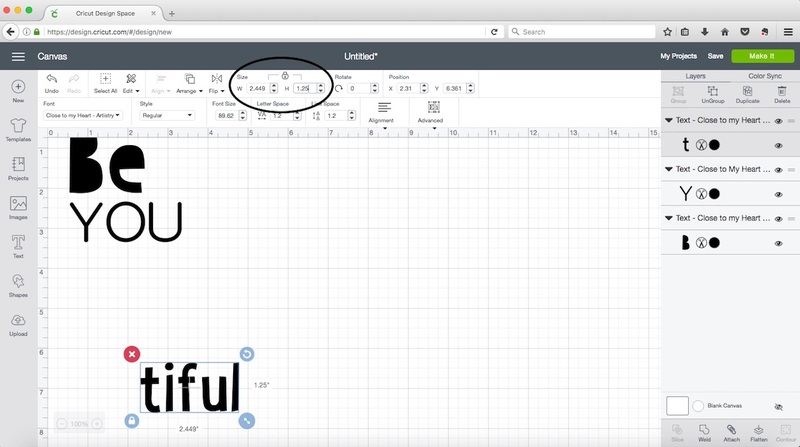 You’ll want adjust the letter spacing in the Text Edit bar for “YOU” to make it to overlap with “Be” and “tiful”. The example above shows how we arranged the text, with the letter spacing on “YOU” changed to 1.9. 6. 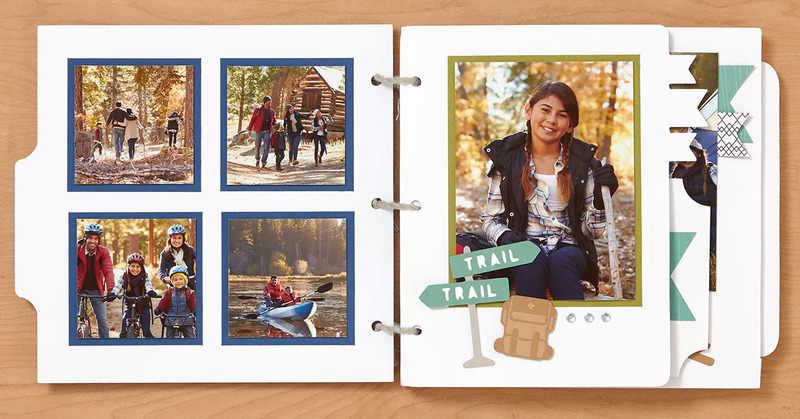 Weld your text together to create one group of text instead of three separate pieces. To use the weld tool, make sure each line of your text overlaps. You’ll also need to make sure you have selected all three text pieces. 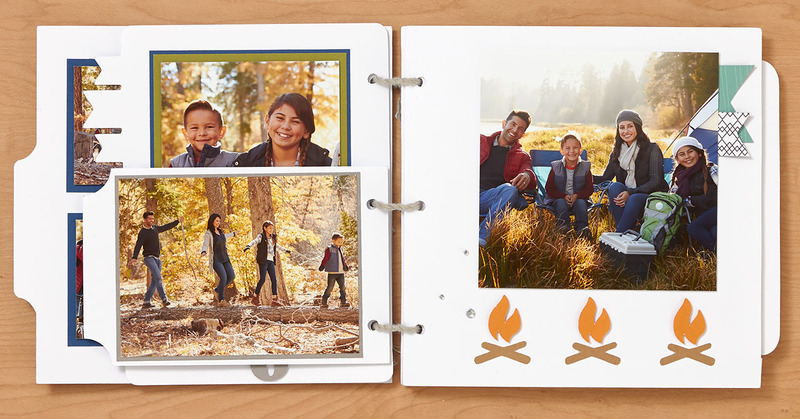 Select all the pieces by clicking on the top left of the text and drag across to highlight all three lines. Next, click Weld in the bottom right corner, in the Layers panel. 7. 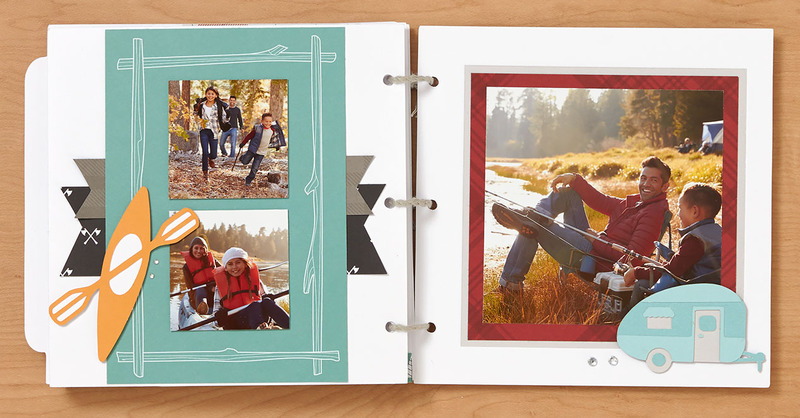 To create the piece for your card front, insert a square shape using the “Shapes” option on the left side. 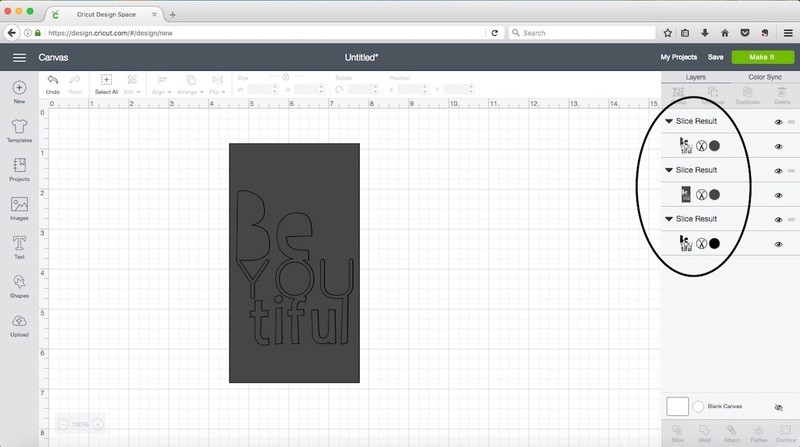 Resize the shape to a 3.25″ x 6″ rectangle. 8. Move your sentiment behind the rectangle. You’ll still be able to see the outline box for the text to make sure it’s centered. 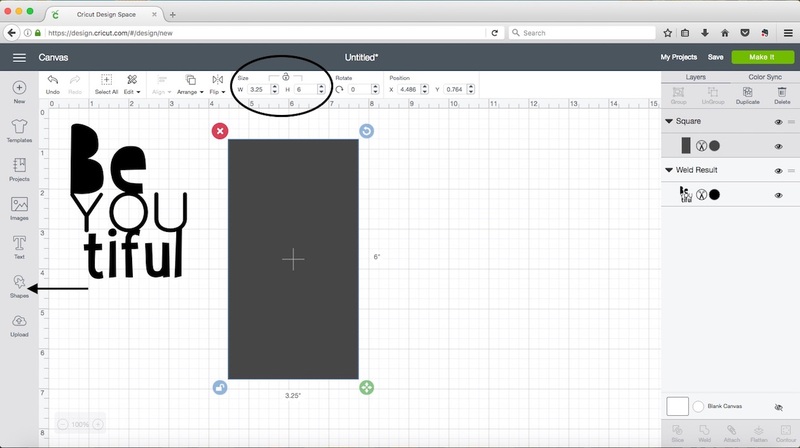 Hold down the “shift” button on your keyboard and select the rectangle. Once both the text and the rectangle are selected, click Slice in the bottom right corner, next to Weld. 9. You should now have three separate pieces. You’ll see the slice results on the left in the Layers panel. Just move your pieces around to view each one individually. You can delete the two separate text pieces since you won’t need these in your project. 10. All that’s left is to cut your project! Click the green Make It button in the top right corner and follow the prompts. 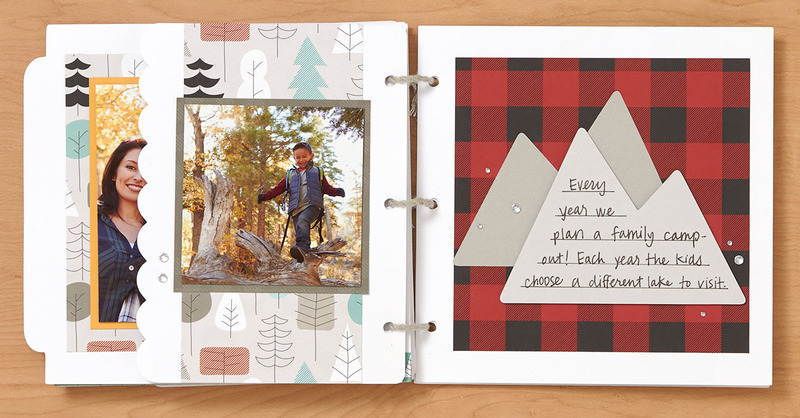 To create the same look as the example from Annual Inspirations, just add a solid piece of cardstock behind your cut Cricut® piece. That’s it! 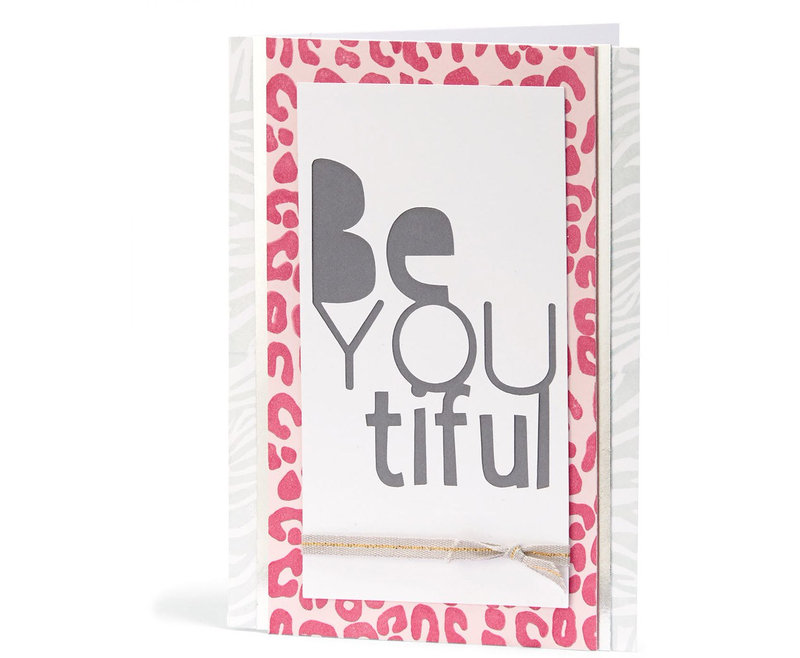 You’ve now successfully sliced and welded fonts to make a “BeYOUtiful” card! 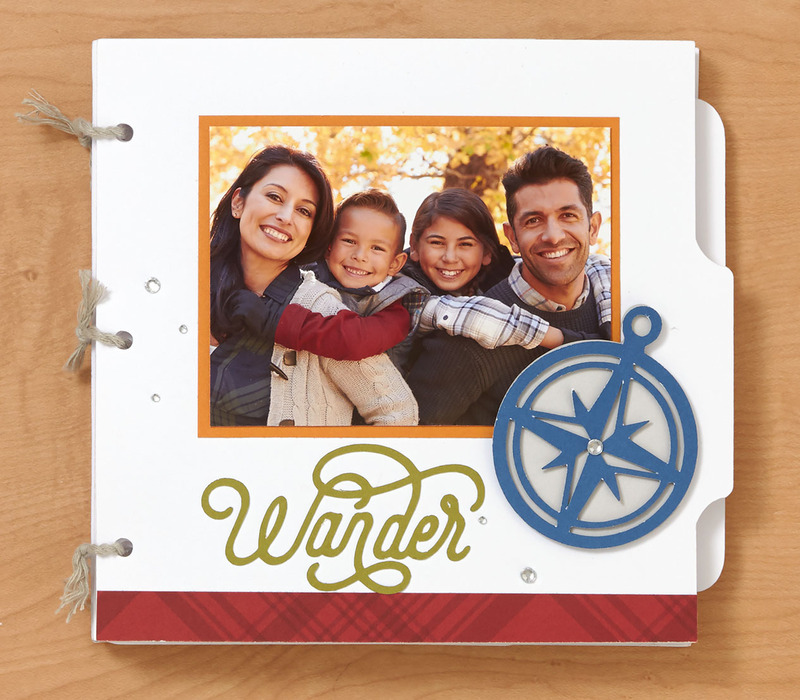 You can use this same concept to create other unique card sentiments or scrapbooking titles. If you want to make this project again, be sure to save it before moving on to your next creation!